These photos were presented at the June 16 FCAL meeting by the Forest County Health Department. 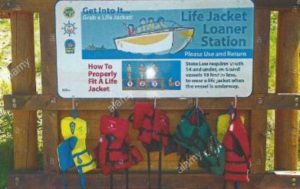 The Health Department in conjunction with the Crandon Lions Club is piloting a program this summer at Lake Metonga and also at Silver Lake. They intend to offer life vests on loan to boaters who may find themselves short of the required number or sizes of life jackets necessary for the safety of their passengers. 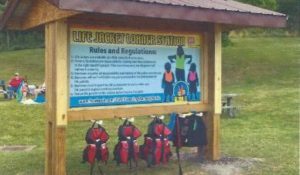 The FCAL Board of Directors was excited to learn of this program and pledged its support going forward. 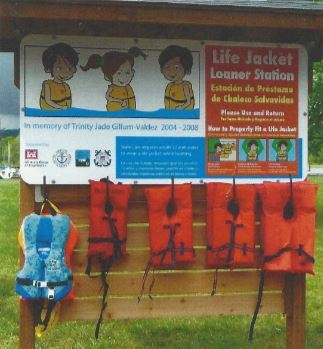 Watch for the new life jacket stations at the beaches and boat launches this summer (2017).